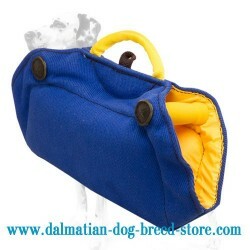 Do you train your Dalmatian puppy for protection? Then it's vitally important to get a high-quality training gear. The presented puppy bite builder is created exactly for this aim. 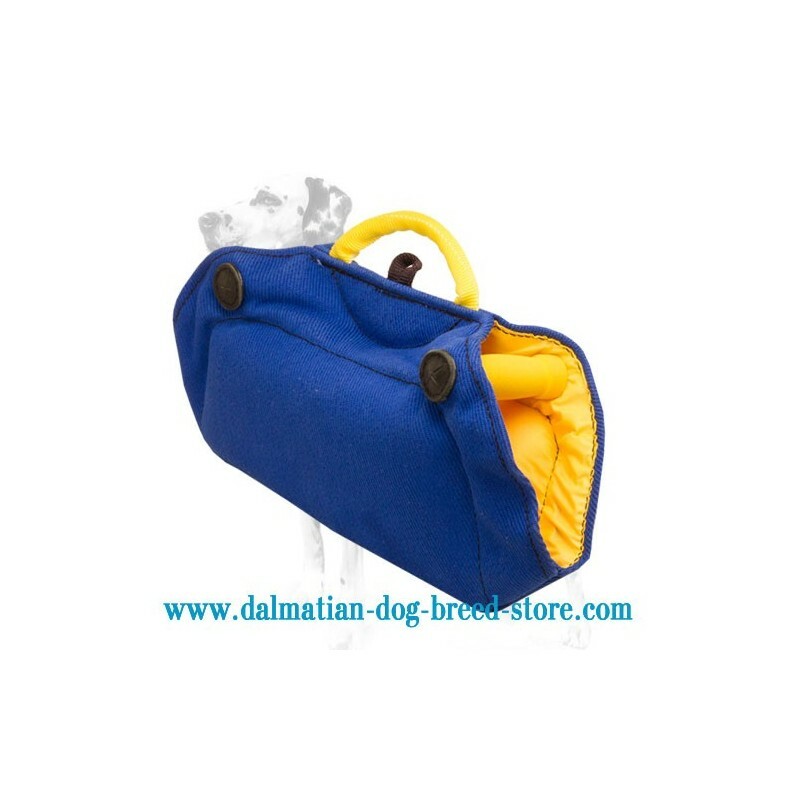 The item is equipped with 2 hard plastic handles, and an outside round one for your utmost comfort when training the dog. All the handles are easy to hold and provide quick grab when neccessary. Also, there's a loop for leash attachment under the central round handle; this loop is used for more diversified and excited training sessions. The presented dog bite builder is the finest quality item meant to introduce the Dalmatian pup into protection training. 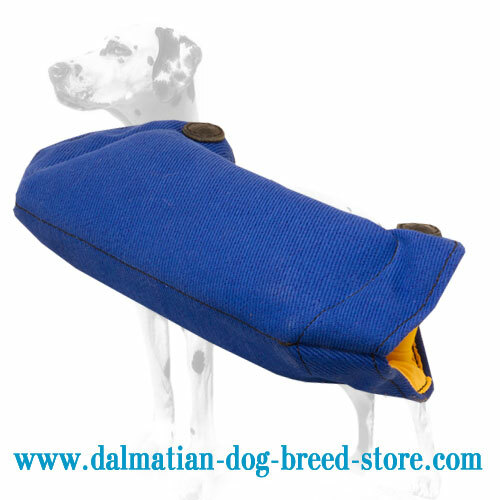 Regular work with the use of this product makes your dog physically stimulated, helps to avoid boredom behavior, reduces stress arisen under the puppy's life in urban and develops his/her grip for future advanced training. The bite builder has excellent, well-thought design for the trainer's ultimate comfort. It is lightweight, neither too big nor too small and equipped with easy-to-grab handles. French linen material is super durable and easy washable. There are no outside parts in the material that could cause allergies.